It’s fairly easy to waive a taxi in the street in Bangkok. Most of the time, you’ll quickly see one and he’ll take you where you want. But that might not be always the case (rush hours, late night, off the main areas…). In those cases, but also for convenience, it might be very useful to use an app that will get you a cab. Grab Taxi was founded in 2012 which is, for an app company, already quite old. They’re Malaysia based, and they launched in Thailand in 2013. They offer to call a taxi as well as a private car, bikes or premium vehicles. The number of vehicles available is quite enormous as a lot of taxis and private cars are working with them. It’s possible to pay in cash to the driver or with Grabpay (enter your credit card in the app). The fee for booking with Grab is 25thb on top of your ride fees (usually meter if it’s a taxi). 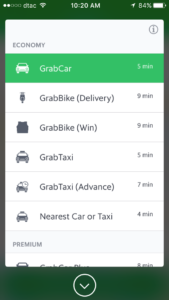 What I don’t like about Grab is that the drivers are usually not using the app correctly (they’re asking where you are, where you’re going etc) and they have a very poor english in general. The american company is now available in 633 cities in the world. Uber launched in Thailand in 2014 and is growing as higher quality services compared to Grab. They are usually a bit more expensive, but I find the service better organised and set up. The Uber app is international and you’ll use the same if you travel abroad. You have to put your credit card number and all the fees will be automatically deducted on your account. You don’t have any cash to give to the driver and I really like the fact that he knows where we’re going before I enter the car. 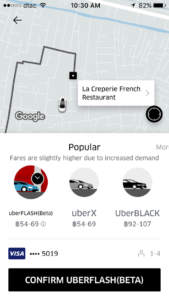 The choice in terms of car is more limited than Grab : you basically can choose the normal cars (UberX), the berlina (UberBLACK), the suv or a new pool service (UberFLASH) if you want to share a ride. 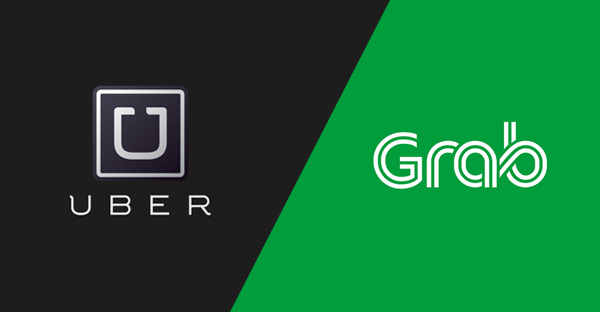 Another difference with Grab is that you can take an Uber for longer distance (for example : Bangkok to Pattaya). The prices proposed are usually pretty reasonable. Note that during the big showers or the rush traffic hours, the price raise, and you can easily pay 1.5 to 2x the price. As the market is growing, Line (the chat app) is now proposing some additional services. With the Line Man app, you’ll soon be able to call a cab with a service supposed to be similar with Grab Taxi. Line Taxi is already available in Japan. Thailand being really addicted to the Line messenger app, it’s quite normal to see this coming to Bangkok.